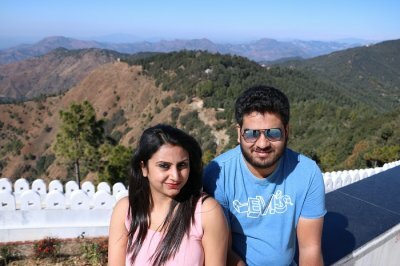 Seshadri Sekhar wanted to go to a nice peaceful place in the hills for his honeymoon and he had just 2-3 days on him. 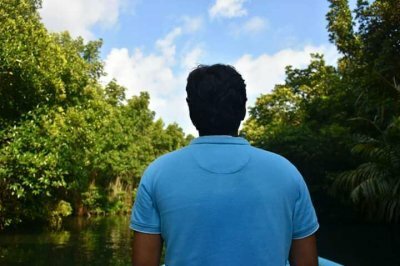 So he and his wife booked a 3 Day/2 Night Munnar honeymoon tour package and had an amazing time in the beautiful landscapes of Munnar. 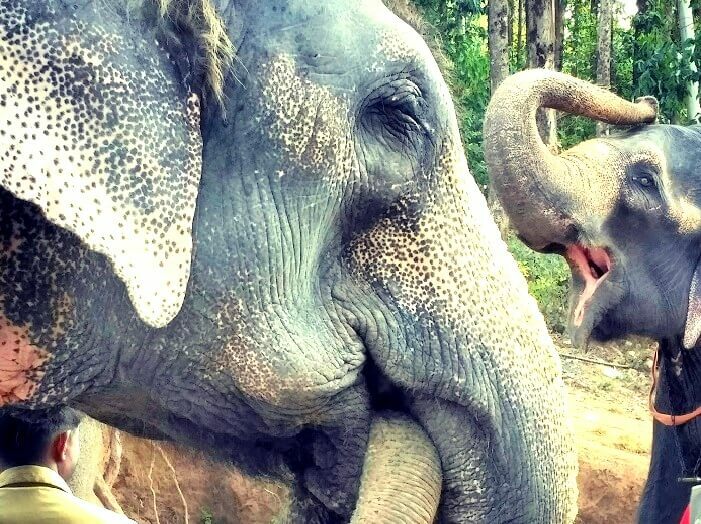 Read on to find out about their awesome trip. After a wonderful wedding, it was our turn to spend some quality time with each other. Unfortunately, due to work commitments, we did not have a lot of time in our hands. 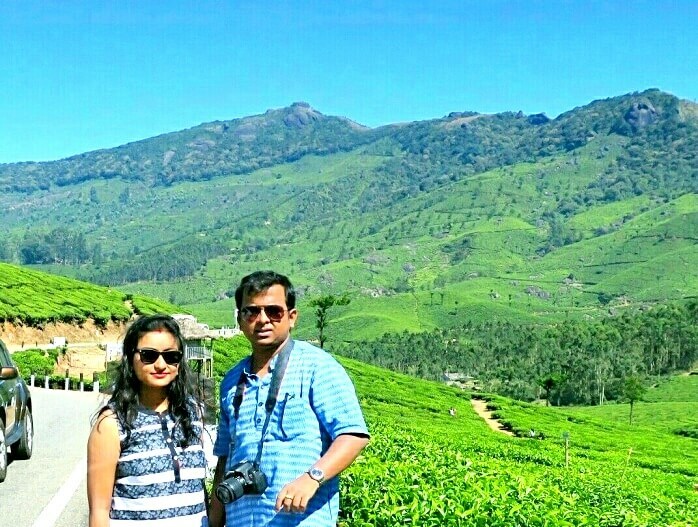 We wanted a short but beautiful vacation, and as both of us prefer the hills, Munnar was the first destination that came to our mind. 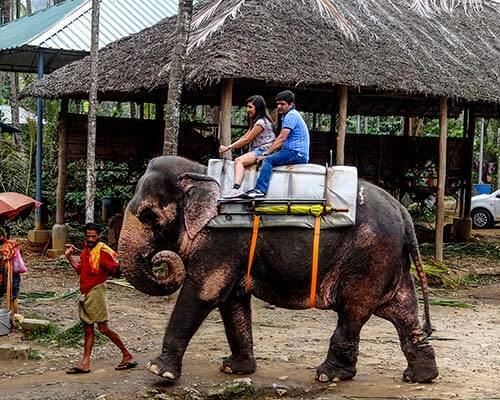 We began searching for good Munnar honeymoon tour packages and luckily for us, we came across the TravelTriangle page, which offered some great deals. We enquired about the package and got in touch with some of their agents on board. We selected Zamorin Holidays as our agent and eagerly waited for our trip to begin. We left from Bangalore in a sleeper coach bus at night and reached Kochi early morning, where we were greeted by our driver, a lovely fellow, who suggested that we immediately leave for Munnar. On our way, in the outskirts of Kochi, we visited the Chottanikara devi temple, a temple dedicated to goddess Laxmi. It’s a very peaceful place and chants of the mantras soothed our senses. From there, it took us some hours and we finally reached Munnar by late afternoon. Upon reaching, we checked into our hotel Deshadan mountain resort, the highest resort in Kerala. 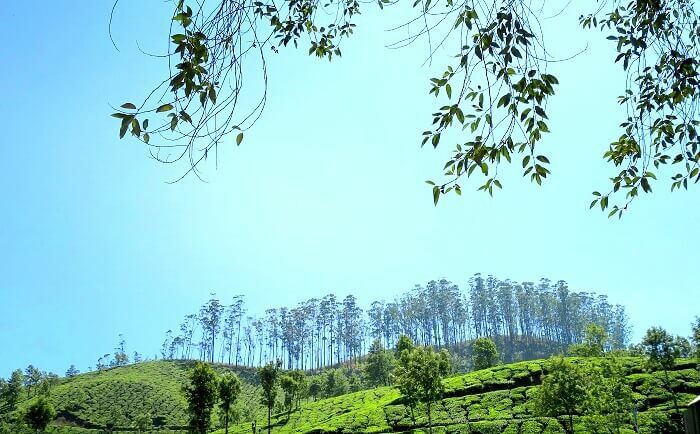 It is located in the outskirts of Munnar and is at such a location that one cannot miss it. The hotel is beautiful in every sense of the word. The staff is also very warm and friendly.From our welcome with fresh watermelon juice, to the rooms, everything was perfect. There is an indoor games station where one pass time. The food is also very nicely prepared. 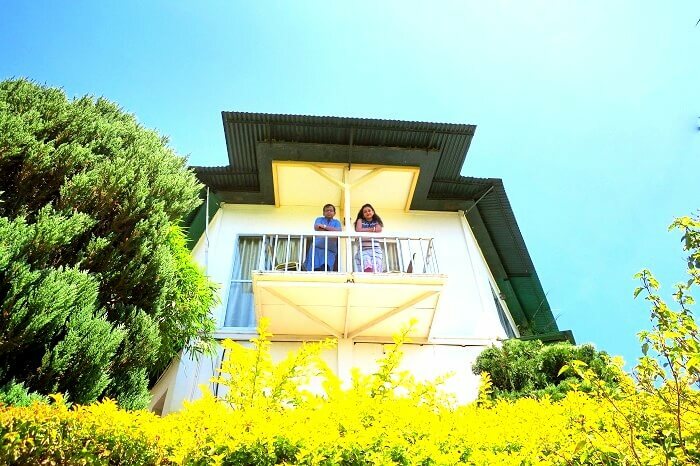 Our stay in the hotel was one of the best parts of our honeymoon trip to Munnar. In the evening, we decided to explore the local markets and streets. We had dinner at this great restaurant called ‘The Rapsy restaurant’, serving authentic Kerala cuisine. One must try the kozhi porichathu and nana’s green tea here. Its simply awesome. After dinner we came back to our hotel and slept off, exhausted from the day’s activities. 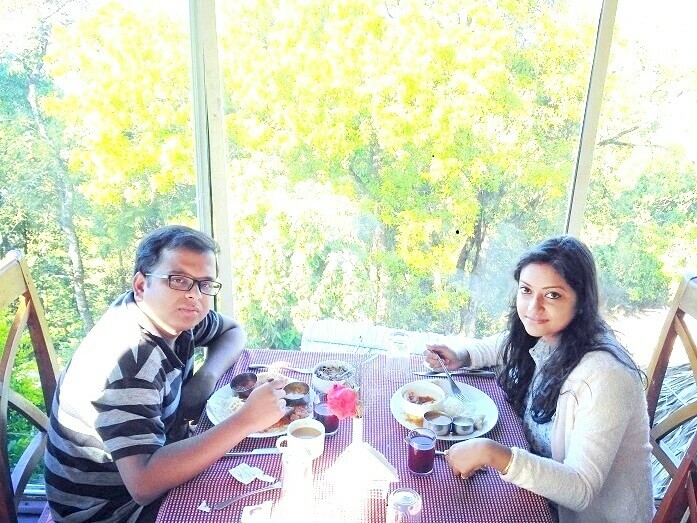 We had an early morning sumptuous breakfast in our resort and started off for Munnar sightseeing tour. 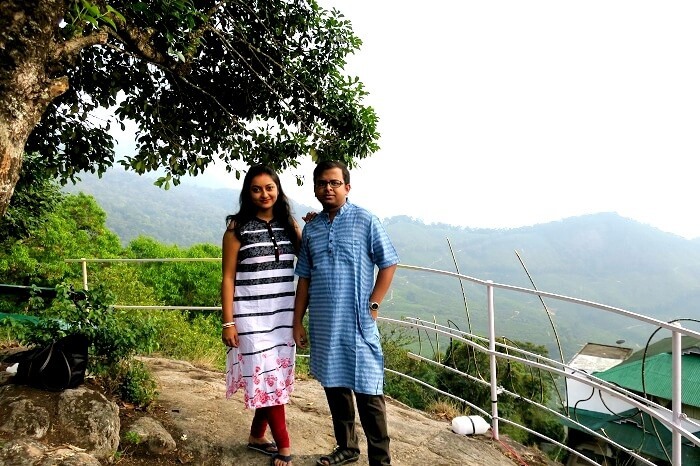 We first visited the top station, located about 32 kms from Munnar. 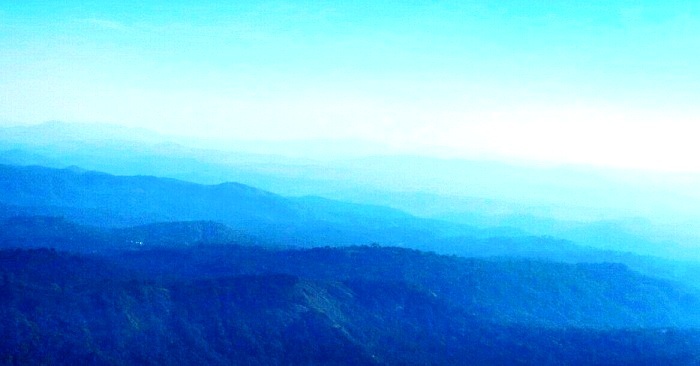 it offers mesmerising views of the Nilgiris. This is quite in contrast to the views of the vast tea plantations, which had led up to top station. We stayed there for sometime and clicked really nice pictures. On coming down, we visited the Mattupetty dam and the echo point. 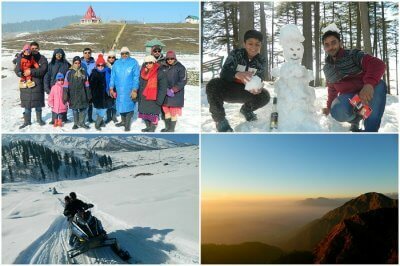 They offer some scintillating views of the valley and one can easily spend hours here . Later we visited the tea museum, situated in Nallathanni Estate. It is a fascinating place and one gets an insight into process of tea leaf rolling. After that, we decided to have dosas and tea in Sri Venkateswara restaurant, one of the oldest restaurant in the city. The food was delicious and we really enjoyed it. 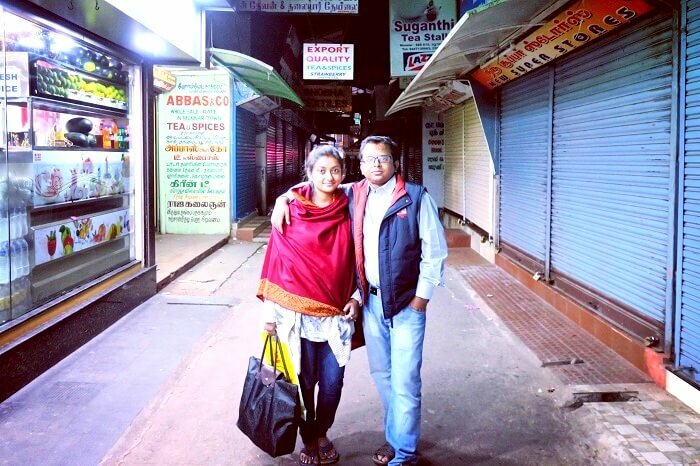 Before going back to our hotel, we stopped for shopping for some sarees and Kerala spices. We had an early morning breakfast post which we visited the Hydel park, a well maintained park but we didn’t spend much time there. Then, we visited the Anayirankal dam. The road drive from the Hydel park to the Anayirankal dam was spectacular, we were literally compelled to stop every 5 minutes and click pictures of the scenery. 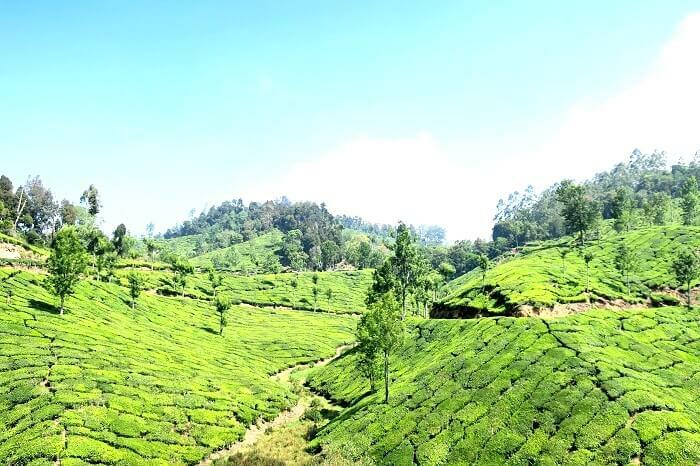 Driving amidst the vast tea plantation filled our hearts with happiness. Upon reaching, we stayed there for sometime, admiring the views of the fast paced waterfall over the grid. We were back to city by 4pm and boarded the sleeper coach back to Kochi, our hearts filled with memories of our honeymoon trip to the beautiful Munnar. I wish we had more time to stay in Munnar. 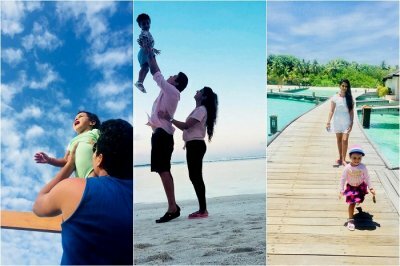 It is a perfect place for honeymoon and offers one a chance to experience the best of what mother nature offers with his better half. I thank TravelTriangle for helping me plan this trip so perfectly and taking care of all the arrangements in such a short notice. Cheers to them! One should keep basic medicine kit while one is traveling in the hills. The roads are not bad but the ride can be bumpy. During those times, motion sickness tablets will come handy. 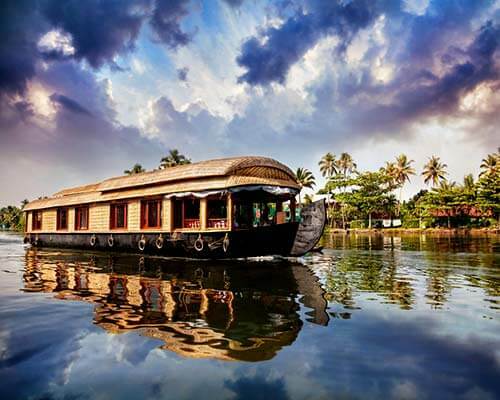 Seshadri had a beautiful honeymoon in the gem of Kerala. 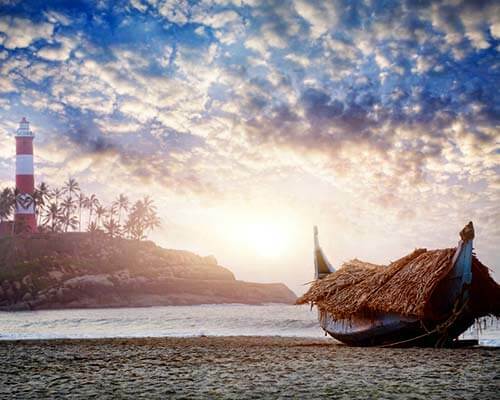 Even you can book a Munnar honeymoon tour package and have a lovely honeymoon like this . hurry, book a package now!